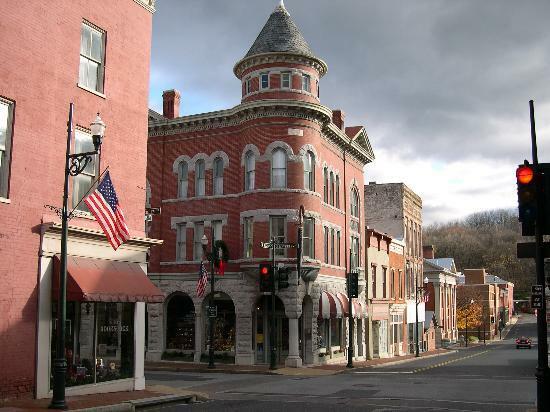 Staunton offers so many compelling reasons to live here, especially if you love the mountains, the arts, farm-to-table restaurants, and lots of good music. The population of the city is only about 25,000, but it boasts plenty of charm and big city culture. With the American Shakespeare Center located here (a must, if you haven't been! ), the Heifetz Institute, (divine classical music), and plenty of local and revered talent like The Findells, there's no shortage of musical and art diversity. Staunton cuisine has gained national recognition with Chef Ian Boden of The Shack, a recent semi-finalist in the James Beard Foundation award. ​Other fine downtown restaurants include the Mill Street Grill, Zynodoa, Chicano Boy, and Nu-Beginnings store. Each of these restaurants has a passion and commitment to serving local sourced foods as much as possible. And you can tell the difference with each bite. Then there are the Virginia craft beer, winery, and cider makers, all located in and around Staunton, VA. Take advantage of the beer, wine, and cider trails. You'll have a ton of fun! With both Mary Baldwin University and Stuart Hall located here, as well as quality public schools, the area offers solid educational opportunities. But it's the area itself that sells out-of-towners on making Staunton, VA their home. Nestled between the Blue Ridge Mountains and the Allegheny Mountains, the Shenandoah Valley is one of the most beautiful places in the world to live. You can enjoy hiking in many parts of Augusta County, and you definitely want to make the Shenandoah National Park a part of your stress-reducing activities. But what really seals the deal for living here is the Valley's friendliness. We might offer a diversity of "big city" offerings, but we always put people first!